The first Swedish regatta of this year was in Falkenberg. The main category was (like the Skifhead) singles. My preparations were again not good, and it was only at last minute that I decided to race. Again my steering was bad (which actually surprised me, rowing a lot in Falkenberg as a young rower) but the actual rowing felt good. Accept fading a bit at the last 1k, I was pleased with my performance. 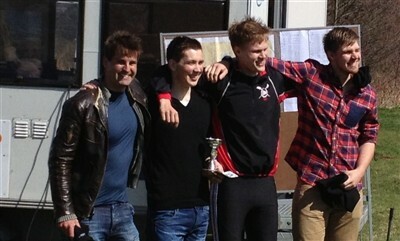 I finished 2nd, 6 seconds after Dennis Gustavsson and 30sec ahead Oscar and Kristoffer from Öresjö who joint 3rd place. An ok result but definitely room for improvement.